>> Jog >> High knees. >> Heel flicks >> Dynamic exercises. 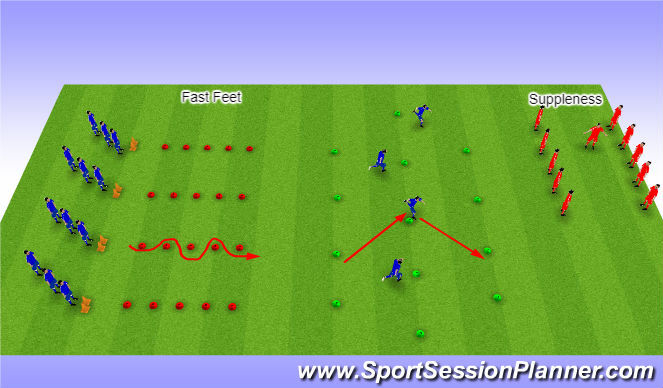 2.Fast feet Straight ahead activity and lateral movements. >> 4 players are placed in a grid with 1 defender. 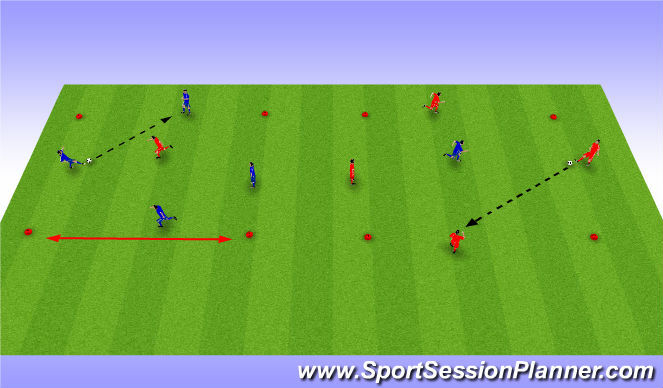 >> The 4 players aim is to keep possession as long as possible. >> The players who make mistakes must become the defenders. >> Movement of the ball. 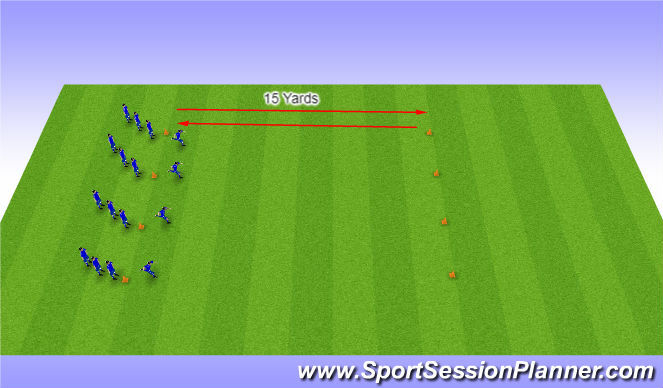 >> Players perform without/ with ball from the 18 yds line in their group. >> Add press up and sit ups on the other end. >> Positive first touch out of the feet. 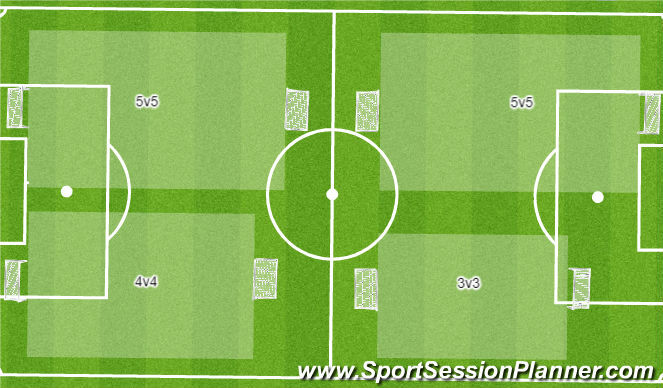 >> 5v5,4v4 and 3v3 with/wiht out GK. >> Focus on supporting play. >> Out of body to receive on back foot. 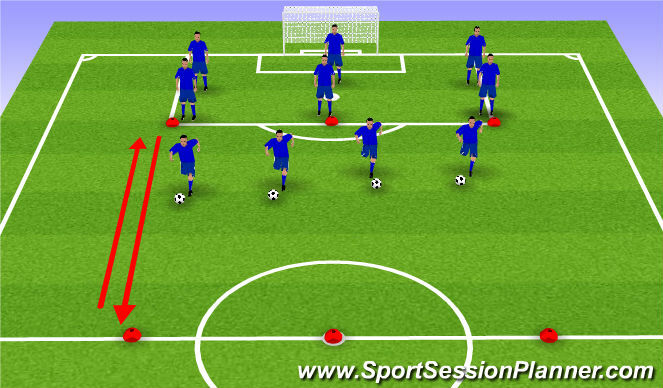 >> 1st touch >> Type of pass. >> Body position >> Support play. >> Movements >> Over laps run.